Cellworks Group Inc.’s model can crunch a huge volume of biological data and conduct a predictive analysis of drugs and diseases. The idea is to enable the so-called “fast failing" of drugs and reduce knock outs in clinical phases which, being expensive, are a big drain on the pharmaceutical industry. “Such failures don’t happen in the aerospace or semiconductor industry, even though the entire development happens in the virtual environment," says Taher Abbasi, co-founder and chief executive of Cellworks who spent 16 years in the semiconductor industry and co-founded a start-up which got acquired by Cadence Inc. in April 2003. Information broker: Cellworks co-founder and CEO Taher Abbasi. Founded in June 2005, Cellworks initially pooled in money from friends and family but is now looking to raise $5-7 million (Rs22.7-31.8 crore) in venture capital. It is currently testing its virtual prototyping systems in areas such as oncology, auto-immune disorders, infectious diseases, dermatology and metabolic syndrome, including type II diabetes. The start-up has licensed its infectious disease system to AstraZeneca India Pvt. Ltd, and the two are trying to build a virtual model of Mycobacterium tuberculosis, the primary cause of tuberculosis. In dermatology, Cellworks is collaborating with cosmetics firms Avon Products Inc. and International Specialty Products Inc., allowing them to avoid animal tests and play around with new molecules, as its dermatology model currently works on two out of the total five skin types. In the time of huge inflow of data in the public domain, Cellworks is playing an information broker and trying to integrate data in a way that makes biology understood at the earliest stages. It seems to have also excited the analyst world, with New York-based Mehta Partners Llc., adviser to the recently brokered Ranbaxy-Daichii Sankyo deal, using the Cellworks model to predict the drug pipeline of its clients. Subita Srimal, a senior analyst with Mehta Partners, is convinced this tool can improve the company’s strategic advisory services. “We can predict confidently; tell our clients what are the chances of the drug succeeding," says Srimal. So far, such analyses are based on what the firm says or what the competitors disclose, but by using such a model, one actually sees the data—never mind if it’s in silico (or based on computer simulation), she adds. So if Cellworks uses data from the public domain, where is the intellectual property? 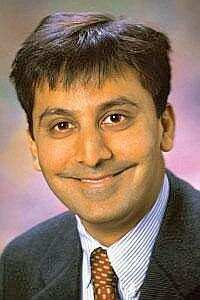 It’s in the differential equation which underlies each reaction that the system simulates, says Abbasi. On top of a proprietary architecture (akin to a game box), rests all the disease-specific information (like different games) and, through an interface, scientists can run virtual experiments. To make it more understandable, Abbasi pulls out an Excel sheet and shows a review (to be available on its website soon) which compares two cancer drugs in the market: Nexavar, approved for lung and renal cancer, and Tarceva, approved for non-small lung, or NSL, and pancreatic cancer. 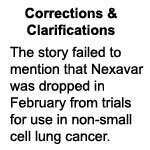 The analysis: In NSL cancer, Nexavar scores more than Tarceva when it comes to reducing drug resistance, spread of cancer or supply of blood to the tumour, but on toxicity to healthy cells, it trails Tarceva on every parameter. This gels with the ground reality—Nexavar was dropped from clinical trials in February. Bolstered by results so far, Cellworks is testing a new molecule, in collaboration with the University of California, Davis, which shows promising results in combination with the now-recalled painkiller rofecoxib (brand name: Vioxx). Similar research is on for Parkinson’s disease in collaboration with Nimhans. “We have our own leads (in drugs) which we’d like to test, both in our models and in experiments with collaborators," says Abbasi.